It's perfectly visible on my monitor, which, by the way, has its brightness set to 0, so how was I to know it wouldn't show up on yours? Not only in mine. DeathStar didn't even notice there was a second planet next to the larger one, for instance. You probably have your monitor set too brightly... which is not good for your eyes. Then again my monitor is a nice piece of... er... hm... well, forum rules. It's the last time I buy a HP monitor, if I have a choice. Some mountains rising from a (desert?) planet's cloud level with a blue sky in the background. Nope. That's not it. At all. Yes, it is the edge of an ice cap. On a terra (with life, even), although you could find such a scene not only on terras and deserts, but also on titans. 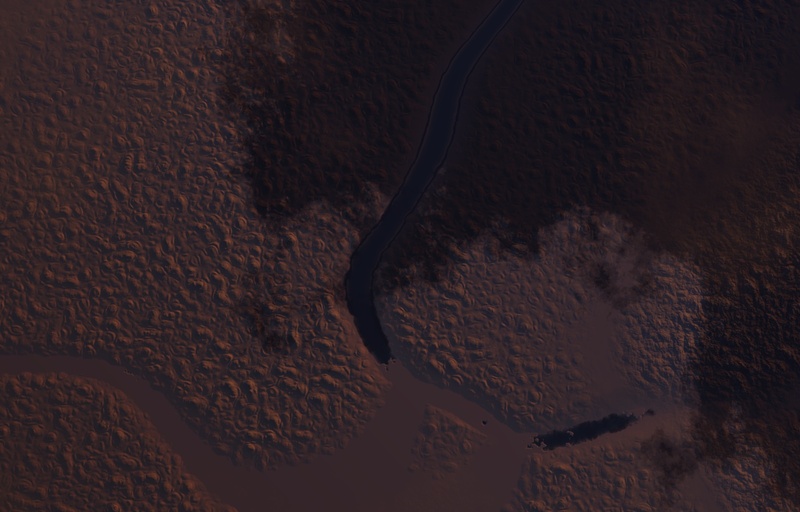 A river on a terra(though it could be a titan as well), the upper, right part is inhabited by plants, while the lower left part is a sandy desert. Yep tis a terra but there are no plants visable nore any warm deserts either. Here I am to the rescue. That's a Terra, with a few pseudorivers around what seems to be a bay with an island in it and crisscrossing a hilly region. The rivers are partially frozen, though, and there's also ice all around them, except in the upper right corner. I.e., according to the lighting, except in the south corner (if it's the nothern hemisphere; replace with north if southern). Yep you are indeed correct. This is a locked terra to so i can't remember north south location. Probably the equator. Oh, I hadn't thought of that possibility. In that situation north and south lose importance, and you get a hot pole, facing the star, and a cold pole, facing away from the star. Anyway, here's my image. Who knows what this is? 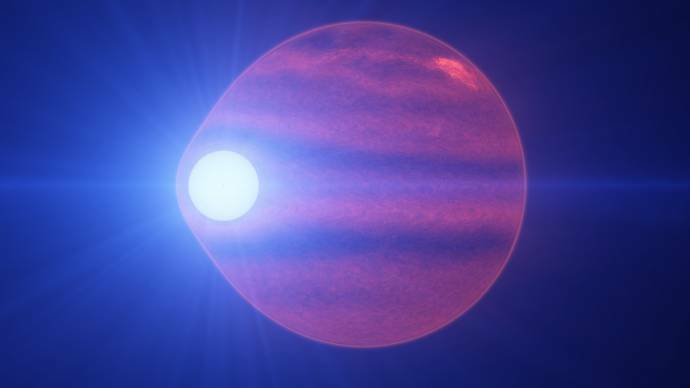 white dwarf and brown dwarf?